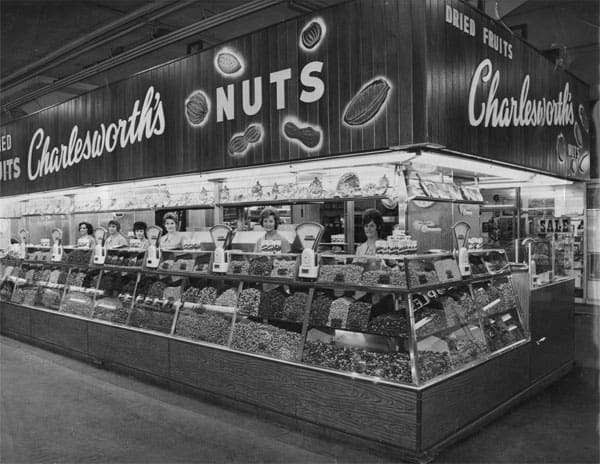 It was 1934 when our first store opened at the Adelaide Central Markets. 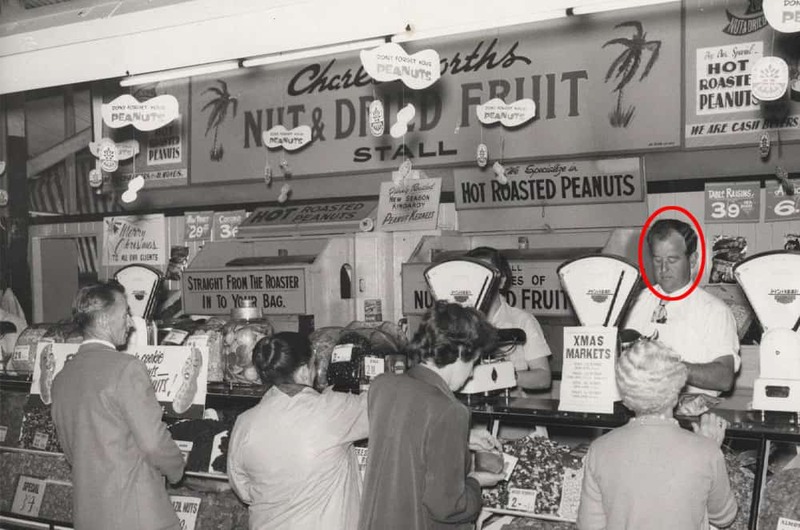 However, this hub of fresh seasonal foods, seafood, speciality foods and more, had already been trading for 65 years before Charlesworth came onto the scene. 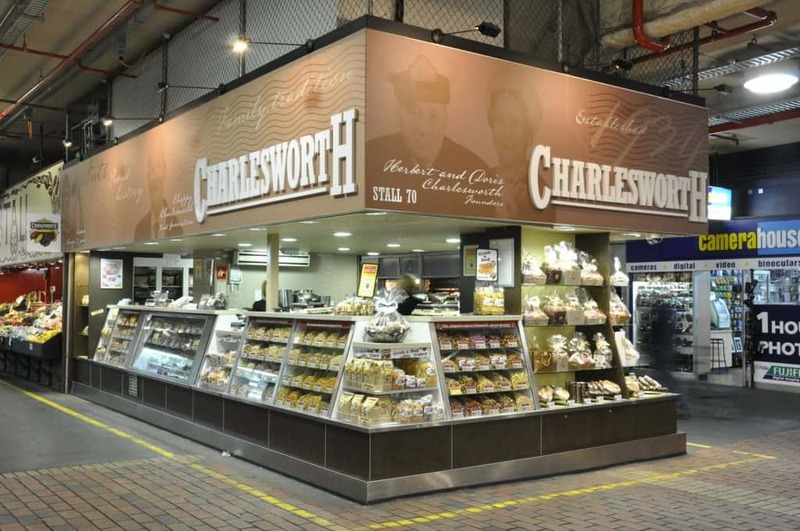 The Charlesworth Market store will have it’s 85th birthday in March this year. 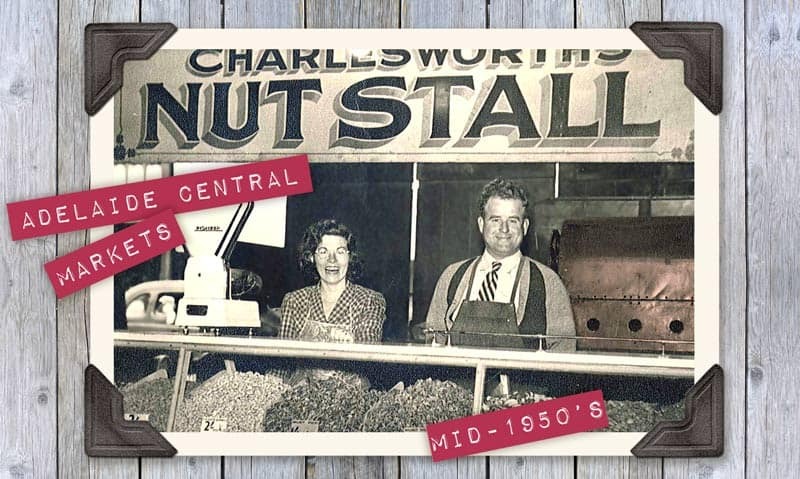 Our Market Store has always been known for its freshly roasted nuts, dried fruit and sweets. What you might not be aware of is the amazing relationships between our staff and their customers. The market has become known for the enthusiastic crowds, and our staff have come to love their regular customers. We are talking ‘first name basis’ here! It is such a unique place to work, and our Market team have been praised on many occasions for their superb customer service. Want more Charlesworth History? Check out Our Story here. 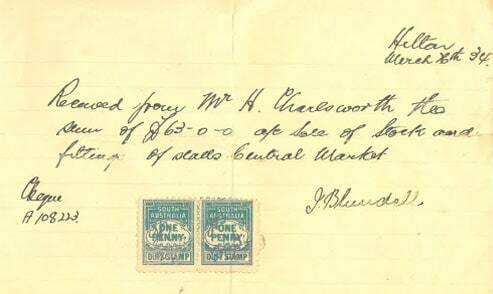 The receipt that Herb received when he bought the Market stall on March 26 1934. We still have it. 1972, look at that hair! This entry was posted in Charlesworth Nuts, History, News. Bookmark the permalink.